Symantec researchers have identified a particularly sophisticated piece of malware, called “Regin” that was likely developed by a nation state and has been used to spy on governments, infrastructure operators, businesses, researchers and individuals since at least 2008. Its first incarnation was used to spy on a number of organizations from 2008 to 2011 when it was “abruptly withdrawn,” with a new version showing up last year, Symantec said. Nearly half of the Regin infections that have been identified involve private individuals and small businesses, with attacks on the telecommunication sector apparently aimed at gaining access to calls routed through that infrastructure. 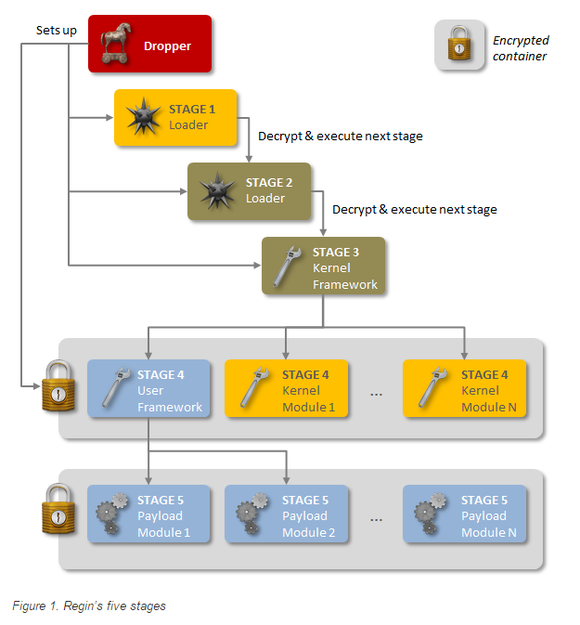 The five stages of Regin, according to Symantec. Regin also takes a modular approach, so that custom features of it are specific to its targets—an approach used with other advanced malware families, including Flamer and Weevil. 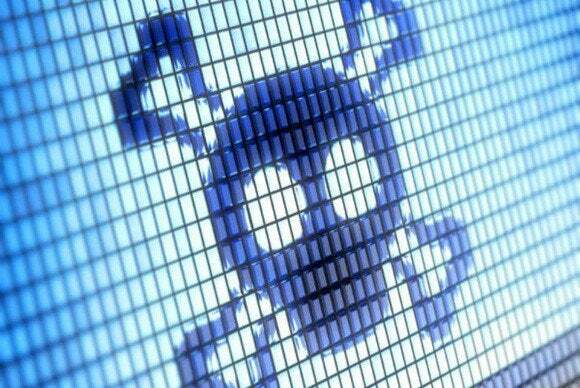 The multistage loading aspect of Regin is also akin to Duqu/Stuxnet malware, the researchers said. It is likely that its development took months, if not years. Researchers have identified dozens of payloads, with some specific and advanced payload modules found, including a Microsoft IIS Web server traffic monitor and a traffic sniffer aimed at mobile telephone base-station controllers. Symantec further believes that “many components of Regin remain undiscovered and additional functionality and versions may exist.” Researchers are continuing their analysis and will provide public updates as additional discoveries about the malware are made, the company said.